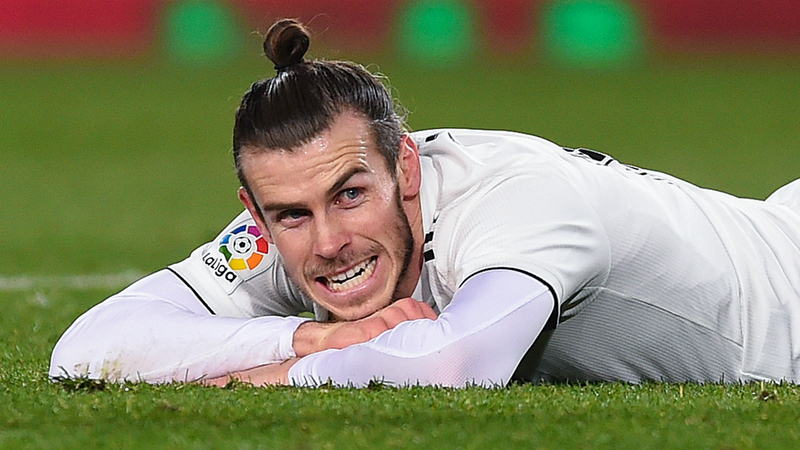 Gareth Bale is at risk of a ban that could stretch to 12 LaLiga matches due to his inflammatory celebration in Real Madrid's 3-1 win at Atletico Madrid. Bale came off the bench to score his side's third at the Wanda Metropolitano, his 100th goal for the club, as Madrid moved second in the table. According to LaLiga, the Wales star then celebrated in front of Atleti fans by "waving his right arm [and] lifting it towards the proximity of his head, in a clear sign of provocation towards the fans, later making a gesture of a possible obscene and insulting meaning by raising his bent arm and striking it in the middle with his other hand". LaLiga says it will now determine whether Bale's celebration achieved "the intended purpose of inciting the animosity of the crowd". The 29-year-old could face a suspension of between four and 12 matches if found guilty of provoking a hostile reaction from the fans, in accordance with new rules regarding "offensive celebrations" that were implemented last February. He is likely to be banned for one to three games if it is found that there was no such aggressive response from supporters. The case will be decided by LaLiga's disciplinary committee. Madrid, who claimed a 2-1 win over Ajax in the first leg of their Champions League last-16 tie on Wednesday, host Girona on Sunday in their next league match.